Cheese is one of the foods many would-be vegans have a hard time living without. This easy recipe offers a wonderful replacement that uses simple ingredients and techniques that any kid can handle. Combine all the ingredients in a food processor and pulse for 20 seconds. Scrape down the sides of the bowl and pulse for another 20 seconds. Scrape down the sides again and blend until smooth and creamy. Add additional olive oil, 1 teaspoon at a time, to achieve your desired consistency. 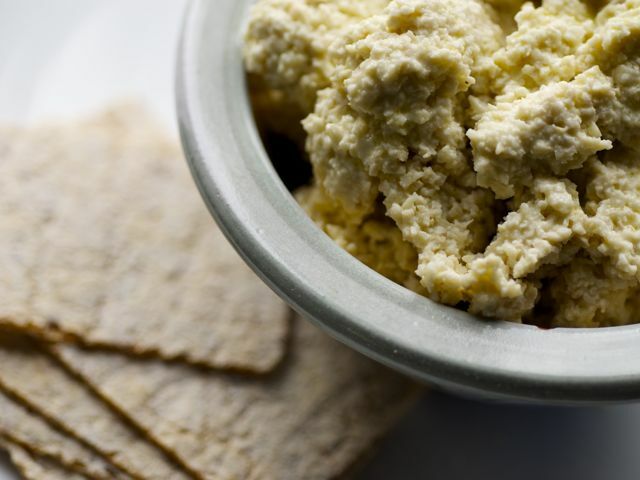 Serve with crackers or vegetable sticks or spread on fresh bread.